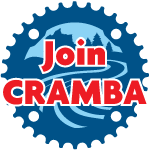 ← CRAMBA Bike Patrol is recruiting for 2015! This entry was posted in Board Meetings, Chapter News, Meeting minutes. Bookmark the permalink.